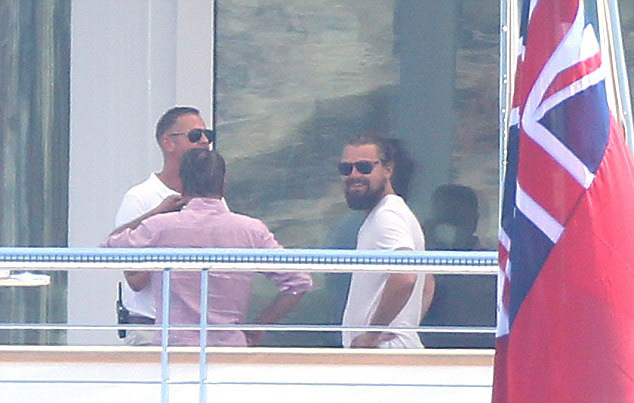 Yacht aficionado and everyone’s favorite bearded celeb Leonardo DiCaprio was spotted in Cannes on one of the World’s Largest Yachts, once again enjoying some rest and relaxation after enjoying the parties and premieres of the 68th annual Cannes Film Festival. He was joined by Cape Fear actress and singer Juliette Lewis, who seemed to enjoy the experience so much, she posted a video of her experience on board! 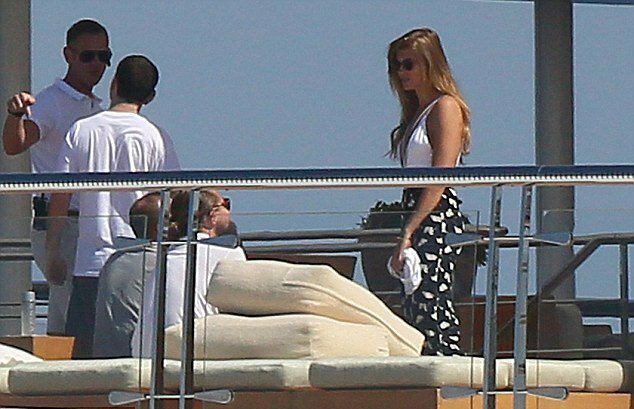 And Leo still does not appear to have rid himself of his beard yet, that he has been sporting for some time! They were seen sunbathing out on deck with a few friends and it looked they were having a fantastic time! Leonardo was not surrounded by the usual harem of ladies this time, but there was one tall, mystery blonde on board who he was spotted talking to. Who knows who the lady is or if there is any romantic involvement? Watch this space! 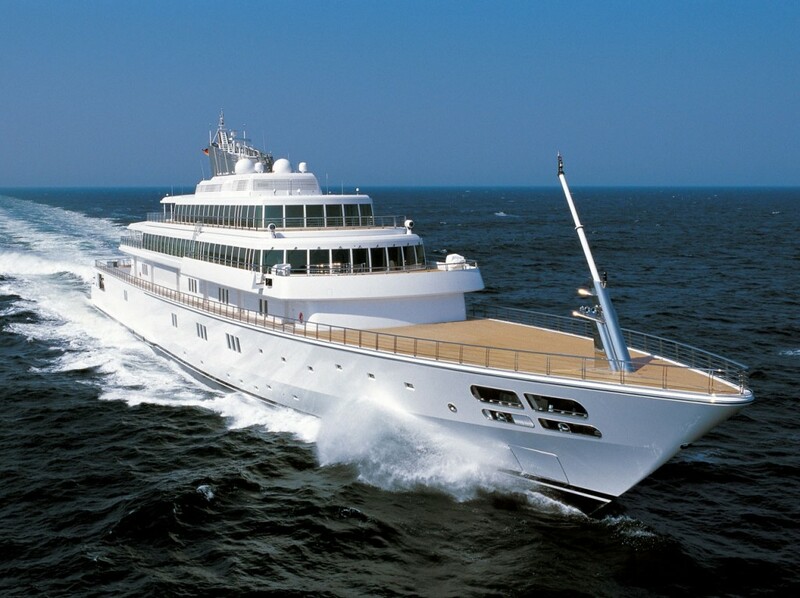 The beautiful yacht they were on is called the Rising Sun, built for Larry Ellison and recently sold to film producer, music mogul and billionaire David Geffen. The Rising Sun yacht features an on board basket ball hoop on the main deck which is clearly visible in the photo above. 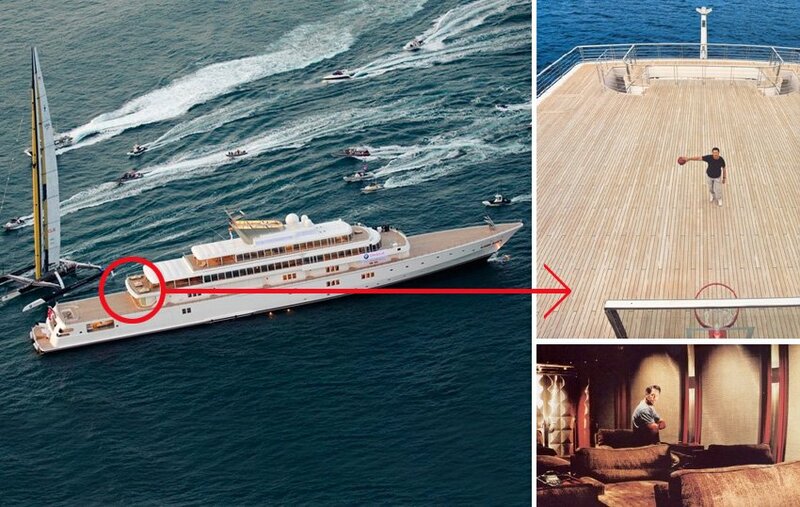 Larry Ellison liked to relax on this yacht shooting hoops, and he hired someone in a powerboat behind the yacht to retrieve balls that went overboard according to yachtsman Tom Ehman. Leonardo and Juliette starred together in the 1993 film What’s Eating Gilbert Grape? which starred Johnny Depp and earned Leonardo an Oscar nomination for Best Supporting Actor. As well as talking shop, Leonardo has also been enjoying the more fun side of the festival, attending various lifestyle events at the festival. According to industry reports, the Inception star outbid heiress and socialite Paris Hilton on the lot that was a Chanel purse at the Heart Fund’s Generous People Dinner Gala at the InterContinental Carlton Hotel in Cannes.